This classic Jongert 14 metre Ketch is presented in great condition, she was completely yard refitted in 2009/2010 and has had continuous renewals and refurbishments since then. 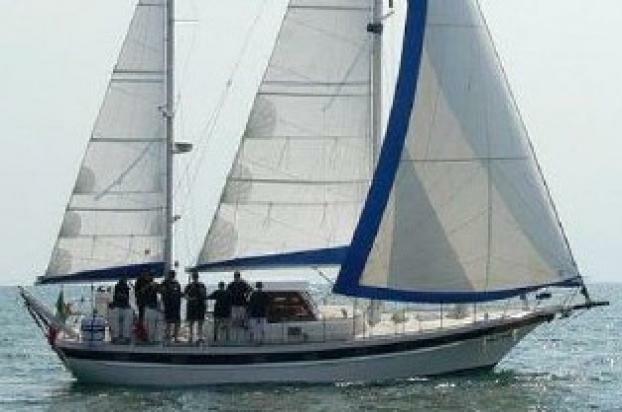 She has a beautifully finished Mahogany interior providing a superb atmosphere uniquely found aboard a classic Jongert. Equipped with a powerful 138 hp Mercedes/Nanni engine, a Bow Thruster and an easily handled Ketch rig this roomy classic Jongert should definitely be seen! 6 Berths in 3 cabins with 2 heads compartments. Steel hull and deck built by Jongert B.V. Medemblik, Holland in 1977. Build Number 271. S/Y Krisna is believed to be hull nr 2 of 4 yachts built to this 14 metre design, she is sister ship to 'Herta' the first 14m built the year before.